This product was added to our database on Wednesday 26 july 2006. In 1951, U.S. Navy issued request to industry for a large seaplane that would be capable of long-range nuclear strike and mining to block Soviet Navy to reach open sea. Martin submitted its Model 275 proposal to the Navy, and was awarded contract for two prototypes which designated XP6M-1 SeaMaster. The first prototype was rolled out in secret in 1954, and made its first flight in 1955. Due to an error in the control system and design calculations for the tail control, both prototypes were lost by crash. As prior to mine at the Black Sea, U.S. Navy still remained enthusiastic to the SeaMaster. With a major redesign program followed, contract for 6 pre-production YP6M-1 and 24 production P6M-2 were signed to Martin. 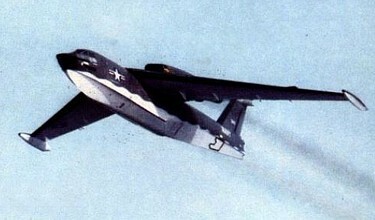 The YP6M-1s resumed flight tests in 1958. Three production P6M-2s had been completed in 1959. Navy moved them through operational conversion for service introduction. Just before six months from service entry, Navy moved ahead to a much effective nuclear capability in form of the Polaris ballistic missile submarine. The number of production aircraft was cut back to eight, and then cancelled the SeaMaster program completely.